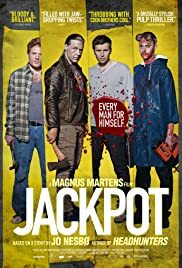 JACKPOT is a Tarantino-esque crime thriller, laced with black comedy and based on a story by Jo Nesbo, the man responsible for the excellent HEADHUNTERS. This film isn't another HEADHUNTERS, but it does feel in the same territory and it comes close at times. It's a gruesome tale of thieves falling out, packed with twists and turns and all manner of unholy murder. The story begins with deceptive simplicity: a work syndicate win millions on a lottery. However, things soon take a dark turn indeed, and we're soon up to our necks in blood-spraying murder. Apart from the opening flash-forward scene which spoils later surprises (I typically hate non-linear scenes in films, except in the likes of PULP FICTION where they're done right), there's little to dislike here. The actors are likable, the direction is decent, and the comedy really adds to the experience. 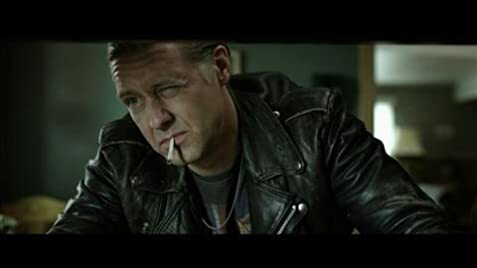 JACKPOT is a perfect film for both fans of Scandi crime and madcap black comedies; not a classic perhaps, but it's certainly good and better than most even if it does tell a familiar storyline these days.